Ashley: The second Maze Runner movie comes out today, which means it’s the perfect time to reread the series or get addicted to your new favorite YA dystopian while waiting for the next Divergent and Hunger Games movies to drop. But The Maze Runner is very different from the two aforementioned franchises—it’s more Lord of the Flies-esque than anything else. A group of about sixty boys have been dropped off in a mysterious area dubbed the Glade, where they build a small society surrounded by four large, moving walls that lead to a large maze. The maze holds many horrors, including several half-natural, half-robot creatures called the Grievers that terrorize the Gladers. Compared to those nasty things, the maze’s lack of a solution after two years of trying to solve it seems like the least of the Gladers’ problems. But then along comes newbie Thomas, quickly followed by the one and only girl ever sent to the Glade, and the whole game changes. Suspense and mystery continue to mount until the very end, and for a premise that seems so farfetched, Dashner does a fantastic job at making it all feel plausible by creating a self-contained reality that includes plenty of inventive slang and endearing relationships between the boys. Freya: Grace Coddington’s world is a glamorous one. From her days as a model in Paris to her current role as Vogue's creative director, she gives a profoundly intimate account of her life among the fashion jet set. And she’s not afraid to dish. There’s one instance where Puff Daddy refuses to stand anywhere besides smack in the center of a shoot, thus disappearing within the folds of Vogue’s magazine spread. Another involved supermodel Naomi Campbell hitting then–boyfriend Mike Tyson over the head with a designer handbag. Plus, there’s plenty of candid insight into her friendship and working relationship with famed famed fashion ice queen Anna Wintour. However, the heart of the book comes from Coddington’s own personal life: her childhood in a sleepy Welsh town, a disfiguring car accident at the height of her modeling career, her personal tragedies and her love affairs. (Not to mention an entire chapter devoted to her love of cats!) Coddington’s career coincides with the explosion of the fashion industry into a global phenomenon, and she expertly weaves her personal life story with her insights into the industry. 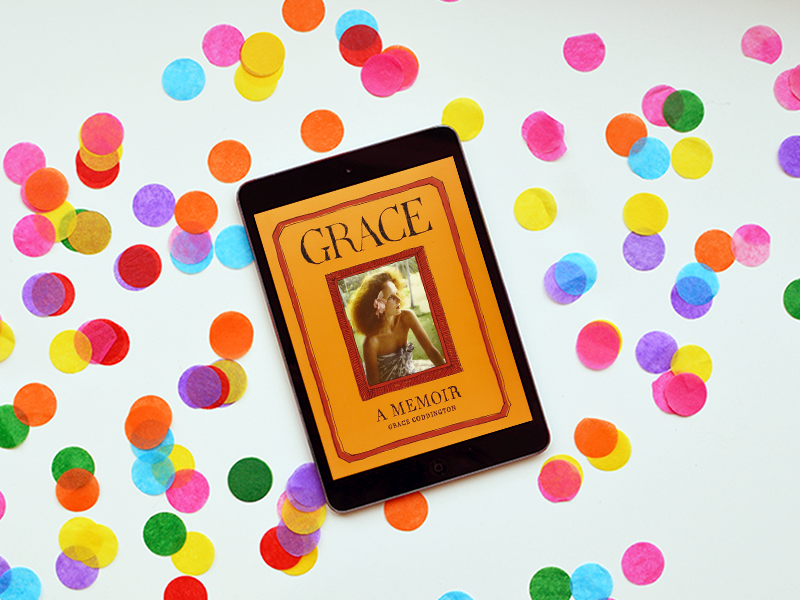 Narrated by the author herself, Grace is an essential listen for any lover of fashion. Joey: Before Batman was a gleam in Bill Finger and Bob Kane’s eyes, there was the Green Hornet. Britt Reid is a wealthy newspaper magnate who dresses up in a mask and overcoat at night to infiltrate organized crime rings in his hometown of Century City and subtly help the police wipe them out. With his trusty sidekick and chauffeur, Kato, driving him around in the technologically advanced sports car The Black Beauty, The Hornet has fought his way through the annals of radio, TV, film and comic book history since the mid-1930s. Kevin Smith’s take on the character is decidedly modern; with the Green Hornet having finally conquered organized crime in his city, he retires, thinking his job done. But at a grand gala hosted in his mansion, a mysterious Black Hornet crashes the party, killing the Green Hornet and leaving his son and Kato’s daughter to take up the mantle. Fans of Smith’s particular brand of humor will not be disappointed. His dialogue is airtight and often takes hilarious potshots at the genre and medium. Andy Lau’s art manages to meld all the gritty glamour of classic Film Noir with a beautiful modern flair, and Alex Ross’s painted covers are, as always, breathtaking. Smith’s Green Hornet tackles themes of legacy and identity, blurs the line between heroism and criminality, and—like the Hornet streaking through the streets of Century City in the back of Black Beauty—is one hell of a ride.